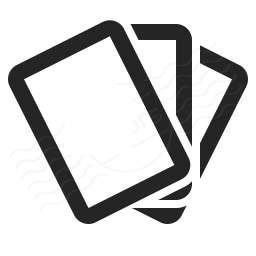 The Hanged Man is one of the most unusual cards in the Tarot deck and its meaning is a little out of the ordinary. The image of a man hanging upside down from one leg seems on first appearance to depict quite a morbid scene. However, the man is in fact quite content with his predicament! 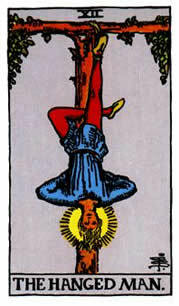 What the Hanged Man represents is the act of doing the opposite to what your head tells you you should do. The message the Hanged Man gives is that there are times when the only way to get what we want is to let go and not try (particularly with the mind). Sometimes in order to go forward we need to take a step backward - and to win we need to surrender. When the Hanged Man turns up you really should try seeing the world from his point of view: upside down.